Welcome To The Avada Community! 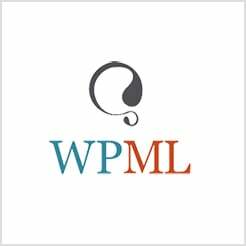 We understand that it can be a daunting process getting started with WordPress. In light of this, we have prepared a starter pack for you. If you have any questions, the first thing to do before submitting a ticket is to create a support account. Then please try searching our support resources with keywords, most of the time the answer is in one of our posts waiting to be found. If you cannot find your answer, please or submit a ticket to our support team. Our world-class professional support team is here to help you. trusted by WordPress for their quality service. All of our items come with 6 months of included support and free lifetime updates for your theme. Once the 6 months of included support is up, you have the opportunity to extend support coverage for 6 or 12 months further. If you choose to not extend your support, you will still be able to submit bug reports via email or item comments and still have access to our online documentation, Knowledgebase and video tutorials. Click Here To Create An Account, you will need your ThemeForest Purchase Code which can only be received after buying the theme from Themeforest.net. Once you are signed up, you need to sign into our support center with your new account in order to gain access to our ticket system and other support features. Before you submit a ticket, we ask that you follow a series of steps to ensure that we can resolve your query as quickly and as accurately as possible. These steps include performing a quick search of our resources (knowledgebase, documentation, video tutorials and community) to see if your issue has already been addressed by another user. Once you’ve ensured all of the steps to follow are completed, if you need to ask a question or get help, you can now submit a ticket. Our Quick Start Guide is a full featured comprehensive guide to getting started with Avada. This one document contains all of the information you need to get to grips with the basics. Avada is packed with Theme Options courtesy of Fusion Builder & Fusion Core. We also give you individual page options that correlate directly with our Theme Options. Each individual element is packed with its very own options too. We need to be compliant, for our sake and for yours, which is why we create policies and documents that keep you up to date on our terms and how we handle you data, as well as what our responsibilities are to you, the customer.